Sometimes carpets wear out and can no longer be cleaned to look like new. In those cases, the best option is to install new carpeting in the areas that need it. This can be caused by untreated stains over the years, burns, rips and tears. We offer affordable carpet installation in Salt Lake City and the surrounding valley. 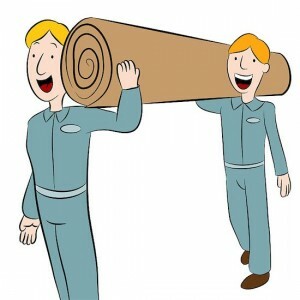 Carpet Installation & Repair: If anyone can repair your carpet – we can! But for the carpet that just isn’t repairable, we offer new carpet installation services also. All new installations comes with a lifetime warranty on workmanship. If a seam comes apart on a carpet we have installed for you, we fix it at no charge.